SYDNEY, Jun 8 2012 (IPS) - When Hussain Akhlaqi (17) arrived on Australian shores 11 months ago from Indonesia, on a boat carrying over 100 other asylum seekers, he was immediately placed in the Christmas Island immigration detention centre. Ali Mohammadi (17) from Afghanistan, and Mujtaba Ahmadi (18) from Iran, also endured a risky journey by sea only to meet the same fate. Australia’s systematic use of remote, indefinite and mandatory detention of refugees or asylum seekers, even children, who arrive here without the proper documentation, set it apart from most other signatories to the 1951 United Nations Refugee Agency (UNHCR)’s Refugee Conventionand the 1967 Protocol relating to the Status of Refugees. While many countries detain illegal immigrants for varying periods of time, Australia is probably the only country where detention is mandatory for adults and children while their case is being reviewed by the Department of Immigration and Citizenship – a process that can take up to months or sometimes years. To mark the 20th anniversary of this unjustifiable policy, the International Detention Coalition(IDC), comprised of 250 members in 50 countries, has launched a global campaign to endimmigration detention of children. “There is a growing recognition that immigration detention damages people as well as Australia’s reputation. There is no evidence that detention stops, reduces or deters boats (carrying asylum seekers) arriving on our shores. Detention, as in Europe, should only ever be used as a last resort because it is financially and (humanly) costly and not in the best interest of children and the vulnerable (refugees or the infirm),” IDC Director, Grant Mitchell, told IPS. Last financial year, the Australian government spent over 772 million Australian dollars (757 million U.S. dollars) on running detention facilities. Meanwhile the Immigration Department has confirmed that its contract with Serco Australia Pty Ltd, a private company that operates detention centres, is now worth more than one billion Australian dollars, to be paid over a period of four years. Having lost his parents and all of his siblings – except a younger brother and an older sister – at the age of five, in the 2000 Taliban attack on his village in Bamiyan province, Hussain lived with his uncle who compelled him to leave school and work. He finally paid a smuggler 15,000 dollars, raised by selling his sister’s jewellery, to get him out of the country. He endured a harrowing 40-day journey from Afghanistan to Dubai, Malaysia and Indonesia before finally reaching Australia. 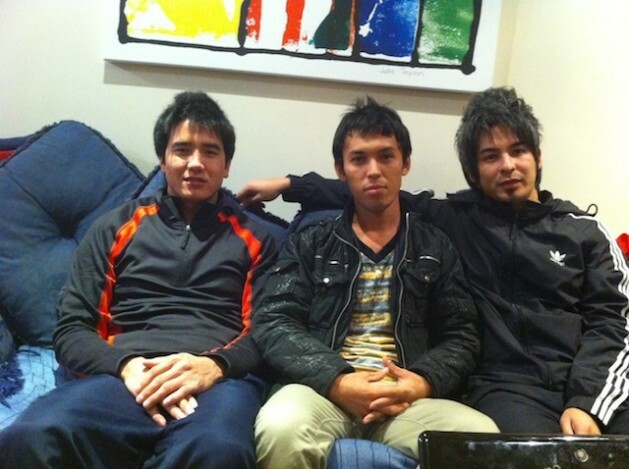 Hussain now shares a small flat in Sydney with Ali and Mujtaba, whom he met in the Christmas Island detention centre. They find comfort in each other’s company. “We have survived living in cramped spaces with little sleep and sometimes no food, undertaking dangerous voyages on old boats alone and (withstanding) the ‘disgrace’ of being in detention. It has been absolutely frightening,” Ali, who came to Australia 10 months ago, told IPS. The boys say they can’t stop thinking about their families and praying for the day they will be reunited with their surviving family members. Mujtaba, who was born a refugee in Iran to Afghan parents, said, “I keep asking why I was put in detention? I have done nothing wrong in fleeing from a bad situation, risking my life on a boat to seek refuge here. Even after being released from detention, these children are often withdrawn, frightened, distraught with separation anxiety, and depressed. Many suffer from a high risk of mental illness and post- traumatic symptoms including distress, sleep and behavioural disturbances, suicidal thoughts and self- destructive behaviour. There is now a large body of evidence to suggest that prolonged detention can have severely detrimental effects, especially on children who have experienced torture or trauma in their homeland. The IDC campaign has drawn national and international pressure on this issue and forced the Australian Government to speed up the process of releasing more children from detention. According to the Department of Immigration and Citizenship, there were 4,329 people, including 463 youth under the age of 18 in various immigration detention facilities as of April 30 this year. Since the campaign kicked off, the number of children in detention has dropped from 463 to 281. As Amnesty International Australia’s Refugee Coordinator and spokesperson, Graham Thom, told IPS, “In practice Australia does try and release children quickly from detention, normally into some form of community detention. However, release remains at the discretion of the minister; if she/he chooses not to intervene they will be held in detention indefinitely”. The mandatory detention policy also breaches Australia’s other international legal obligations. Article nine of the 1966 International Covenant on Civil and Political Rights (ICCPR), to which Australia is a party, prohibits arbitrary detention and provides that a detained person must be able to take proceedings before a court that can determine the lawfulness of detention and order release where detention is unlawful. The rights to liberty and freedom from arbitrary detention are also protected in Articles three (Right to Liberty) and nine (Prohibition on Arbitrary Detention) of the Universal Declaration of Human Rights. A Joint Select Committee report on Australia’s immigration detention network released in March has recommended that, as a matter of policy, detainees be accommodated in metropolitan areas wherever possible, particularly children, families and those with special needs or complex medical conditions and that a uniform child protection code be implemented across the immigration system for children seeking asylum. The IDC global campaign will focus on Greece this month and will then move to Poland, Mexico and the United States, Malaysia, South Africa and will wind up in Israel, where children in immigration detention is becoming a big issue.